Ellon, Aberdeenshire-based craft brewing firm BrewDog announced it bought Draft House, which has 14 bars across London and the South East of England. Alongside his role as managing director of BrewDog Bars, David McDowall will become managing director of Draft House, taking the reins from Draft House founder Charlie McVeigh. “Draft House has got an incredible team of engaged people and we’ll be doing everything we can to empower them in their business and offer them the support they need to achieve their career goals. All 213 Draft House staff will now join BrewDog and be offered Cicerone beer industry training as well as “support” if they wish to apply to the Institute of Brewing and Distilling (IBD) and the Beer Judge Certification Program (BJCP). 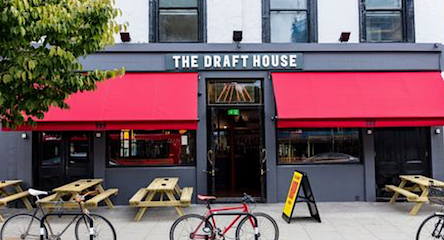 Draft House founder Charlie McVeigh said: “Nine years have passed since the first Draft House launched, and it has been a truly remarkable journey of discovery. “We’ve built an awesome business, and more importantly, a team right at the heart of the UK’s beer revolution. “I am immensely proud of what we’ve achieved together and delighted to hand the business over to BrewDog for its next stage of growth.